For years we have provided countless clients assistance in providing a better, more financially stable future for their loved ones, through estate planning and the creation of wills. We can plan asset distribution, execution & creation of wills, disposition of properties, and more. The day will always come when you are no longer on this earth, however before it is your time, ensuring your loved ones, and future generations are taken care of can become a complex task – especially, without the assistance of a qualified estate planning attorney. At Ryan J. Walsh & Associates, we are here to help you arrange and transfer your assets in order to preserve wealth, and keep it within the family. Our experience allows us to draft, revise, and review estate plans with the maximum flexibility, and wealth for the intended beneficiaries – while taking into account federal, and state tax laws. What is your Estate and an Estate Plan? An estate is the totality of your owned properties, including all real property (real estate), lands, and personal properties (includes: cars, household items, bank accounts & money). Estate Planning is the plan or process by which you plan to distribute those items and properties once you pass away, to your chosen heirs or beneficiaries. Your estate is distributed through Wills & Trusts. Preparing a will is one of the most important things one can do as they get older. Your will is a legal document that will specifically outline how your assets will be distributed after your death – in whatever way, and to whomever you choose. Our firm will work with you, to help decide how exactly you would like your assets managed, and to whom they should be distributed once you pass. With out experience, we are able to ensure that your assets are kept within your family or given to who you choose without government interference or garnishment. We will also provide quality counsel, to ensure you appoint the proper executor who can pay any taxes, pay money due to creditors and distribute the assets according to your wishes. A trust is similar to a will in the way that it outlines how your assets will be managed and distributed after you pass, however it also allows the individual who creates the trust – the Grantor, to designate an individual to manage those assets during your life in the event that you should become incapacitated. We assist you in establishing a document which properly transfers ownership of any selected property or items outlined within the trust. As we age, things in our lives change – in order to keep up with such change you may need to amend or alter certain details within your Will or Trust. Our firm will be there to assist you in making any and all changes. Probate is the legal process by which a deceased individual’s estate is distributed and any claims made against the estate are resolved. Depending on the specifics of your estate, or the estate of your passed love one(s), our firm will assist you in executing or resolving any issues associated with probate and probate proceedings. 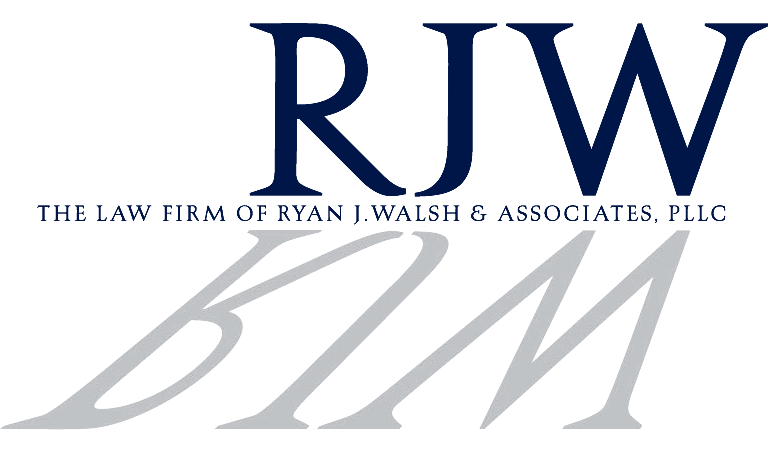 For more information on how we can help you plan your estate, draft or execute any will or trust, as well as probate proceedings, contact Ryan J. Walsh & Associates today.